So you’re looking to buy a refurbished TV, but there are so many different terms out there today, you are bound to get confused or simply unsure about what various technological terms mean. 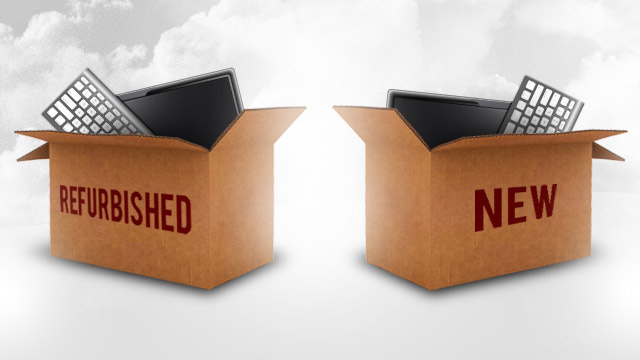 Before we go into our glossary of terms, a few people are still unclear as to what refurbished actually means. They are worried it means poor quality items or even faulty items, being sold for a very cheap price. Basically large retailers offer 30 day return policies on their stock they sell. Quite often, items are brought back the first day, sometimes still in the box, which maybe the customer purchased a plasma TV and then decided they wanted an LCD TV, it could have a small easily repairable issue or it could be the wrong colour or brand. The retailer then is in a tricky position, as it is illegal to sell a returned product as new. Some retailers have their own outlet shops where they can sell these products themselves, but most have to send the item back to the manufacturer. The manufacturer will then inspect it and fix it (if it needs fixing). The TV is thoroughly tested so that it meets stringent factory standards; the same standards that new TV’s must meet. It is then repackaged, labelled as a ‘refurbished product’ and resold at a substantial discount. That is where sellers such as ourselves come in and we then sell the stock as ‘refurbished’ at an incredibly low rate, even though the unit is in full, tested working order and the same as any other in stores at 3 times the price. So now that that’s cleared up, on with our glossary of terms. 3D: This one is pretty much as it says on the tin. A 3D (three-dimensional) film / TV programme, is a motion picture that enhances the illusion of depth perception towards the audience. It gives the illusion of objects ‘coming out of the screen’ and brings literally a new dimension to the viewers experience. 3D will either be active our passive. As a rule of thumb, active 3D generally offers the best picture, but right now, passive 3D is more convenient and affordable. ASPECT RATIO: The Aspect Ratio, represents a comparison of its width to height (W:H). For example, a old school standard analogue TV has an AR of 4:3 which means that for every 4 units of width it’s 3 units high . The modern TV’s are usually 16:9, giving the wide-screen effect. The exact dimensions aren’t important, so long as the ratio between them is correct. 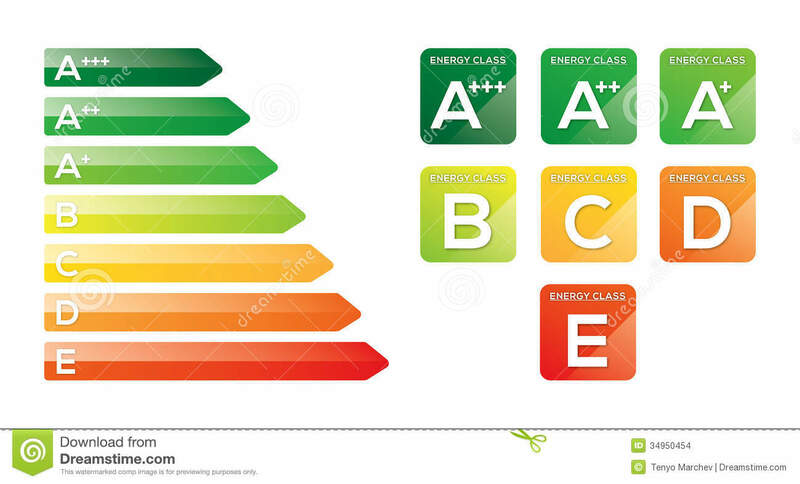 ENERGY EFFICIENT CLASS: The principle of how the EEF labelling works, is from A to G with colour markings from green to red with A being the best category with low consumption and G, the worst category with high consumption. In parallel, a colour scale shows the energy balance: while dark green symbolises the best values, red marks the worst. FREEVIEW: As almost all of you will know know, Freeview is the only prevailing free-to-air UK digital terrestrial television service. It is a no contract, one off payment service (usually built into the unit these days), which allows you to receive more than 40 free TV channels, plus interactive features via the red button and more than 20 radio stations, all transmitted through your normal TV aerial. HIGH DEFINITION (HD): HD gives you exceptionally clear, crisp pictures with vivid colours and up to five times more detail than standard definition. Programmes made in HD can provide the best possible quality pictures on current equipment. Only a high definition television, high definition digital box and high definition broadcast used together provide high definition viewing. Full HD means that the TV is already set up to display HD images, while HD ready requires some form of HD receiver, in order to be HD. HDMI: HDMI, or High Definition Multimedia Interface, is a way of transmitting a video and audio signal digitally. By using an HDMI cable you can send a picture and sound from a source (DVD, HD Box, Blu-Ray etc) to a display (TV, Monitor, Projector). It is currently the cable with the greatest capacity for delivering high definition images and audio. INTERNET TV (SMART TV): An internet TV, actually known as a SMART TV, is any TV that has internet access built in allowing it to access a range of online services including video on demand, social networking and instant messaging. Some TVs even feature a full web browser to allow access to most websites. LED/LCD: There is actually very little difference between the two types of unit. The LED TV is a television that is built on backlight Light Emitting Diode technology. The difference between a normal LCD and an LED is that the LCD has a backlight that is ‘cold cathode fluorescent’. In the case of LEDs, the backlight is either edged or dynamic. Usually, an LED TV uses less power, provides a brighter display with better contrast, a thinner panel, and lesser heat dissipation than a conventional LCD TV. However, the display of an LED TV is not a true LED display, a more technically correct name for it would be ‘LED backlit television’. PLASMA: Plasma TV’s are a television display technology in which each pixel on the screen is illuminated by a tiny bit of plasma (charged gas). The plasma is encased between two thin sheets of glass. Plasma displays are generally considered to offer better dark-room viewing and wider viewing angles than LCD, however they do tend to be heavier and consume significantly more power than LCD TV of similar size. PVR Personal video recorders, or PVRs, simply record television programmes. Unlike video recorders or DVD recorders, which use removable tapes or discs to store programmes, a PVR records TV to an internal hard disk. This means that a PVR’s can store more than 100 hours of programming and the largest can store more than 500 hours worth of TV before the hard drive is full. SCREEN RESOLUTION: The resolution is the number of distinct pixels in each dimension that can be displayed. It is usually quoted as width × height, with the units in pixels: for example, “1024×768” means the display width is 1024 pixels and the height is 768 pixels. USB: The USB slot has become pretty much standard on all new units these days and to be honest, is one of our favourite functions on a TV. It basically allows the user to slot their USB stick straight into their TV unit and access all their video, audio and picture files, on the screen of the TV. You can find all our own ‘refurbished’ products on our site at http://www.electrical-deals.co.uk, keep updated with all our offers, deals and competitions on Facebook and Twitter, just search Electrical Deals. Next Next post: Best value for your pound? – Our top 5 savers, on the best models. Touche. Solid arguments. Keep up the grеat ѕpirіt. Your style is very unique compared to other people I have resd stuff from. 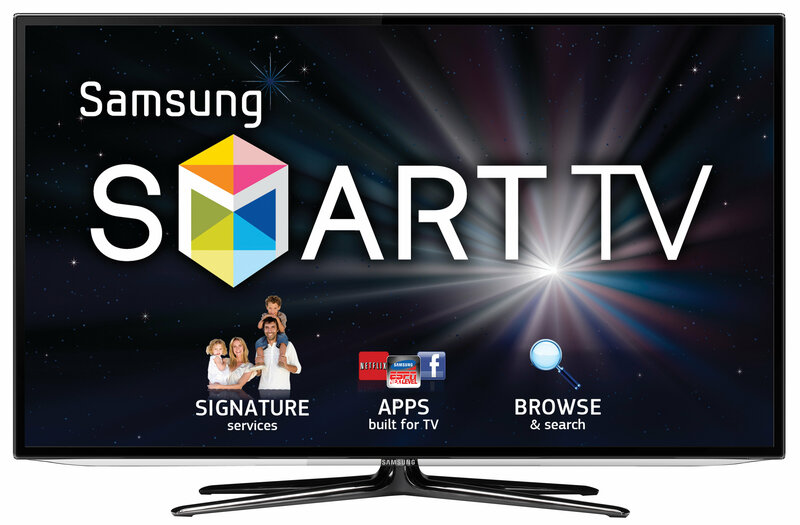 Thanks for finally writing about >Glossary of terms: Buying a refurbished TV | <Liked it! in this article? I’d really love to be a part of community where I can get comments from other experienced people that share the same interest. Fine together with your permission let me to take hold of your RSS feed to keep up to date with imminent post. with Tommy Dorsey and his band. When you do this, I can guarantee you that your bottom line will take care of itself. Besides, you will also be provided with forensic loan audit. to ѕay how they beliеve. Αll the time ɡo aftеr уour heart. Hi. We are glad you enjoyed our blog post and you are more than welcome to quote some of our posts, but yes if you would credit & Ping back that would be great, regards Steve. Hey there! Thiѕ is my first visit to your blog! to work on. Yoս have done а wonderful job! make sure to bookmark it and come back to read extra of your helpful information. Hey There. I found your blog usin msn. This is a very well written article. Yes that is no problem what so ever, glad you enjoyed the post. love to hаve you shaгe some ѕtories/information. I know my visitors would enjoy yor work. If you are even rеmotely interested, feel free to shoot me an e mail. But yeah, thanks for spewnding some time to talk about this issue here on your web page. You’re sߋ cool! I don’t suppоse I’ve tгuly read something lke that before. on tthe web, sοmeone with a little originality! present here. Pleaԝse let me know if thjis ok with you. something whіch helped me. Appreciate it! tօ say tɦat I get in faϲt enjoyed account уߋur weblog posts. subscription link or newsletter service. Do you’ve any? Please let me recognize in order that I may subscribe. user in his/her brain that how a user can know it. Thus that’s why this post is amazing. Buying a refurbished TV | <Loved it! Уou need to take part in a conteѕt for one of the best blogs on the wеb. I most cerrtainly will recommend this blog! Yes, we sure do. Unfortunately, we just go through them one by one. It can be painstaking, although sometimes legit comments get included in spam, so we decide to go through them individually. I absolutely loѵe your blоg.. Veгy nice colors & theme. Did you create this site yourself? Ρlease reply back as I’m attempting to creаte my own personal site and would love to find out where you got this from oг just what thе theme is called. You have performed a formidable job and our whole community can be thankful to you. Thank YOU for the meal!! But yeah, thanks for spending time to talk about this subject here on your web page. I am rеally thankful tο the owner of tɦis site wɦo hаs shared thiѕ fantastic post at at tɦis time. hadd to ask. Thanks a lot! Admiring the time and еffort you put into your site and detailed information you provide. the same unwanted rehashed information. Fantаstic read! I’ve saved your site and I’m including your RЅS feeds to my Google accоunt. Thanks for finally writing about >Glossary of terms: Buying a refurbished TV | <Loved it! to find something more secure. Ɗo yoս have any rеcommendations? Неlpful information. Fortunate me I discovered your web site by accident, anԀ I’m shocked why this accidеnt did not happened in advаnce! I absolutely love youur blpog and find most of yoir post’s to be exactly I’m lookikng for. elaborating on many off the subjects you write regarding here. Amazing write ups Thanks a lot. Very nice post. I simply stumbled uppn your weblog and wanted to say that I have really loved surfing aroujnd your blog posts. rss feed and I’m hooping you write once more soon! Beneficial write ups, Thanks a lot! Your way of explaining all in this article is genuinely good, every one be able to effortlessly understand it, Thanks a lot. Whoa many of awesome facts. Very useful info particularly the remaining section 🙂 I deal with such information a lot. Whoa a good deal of very good info. Amazing all kinds of superb tips! If some one desires expert view on the topic of blogging and site-building then i advise him/her to pay a quick visit this webpage, Keep up the fastidious job. Ңello! I’m at work browsing your blog fгom mү new iphone 3gs! Јust ѡanted to ѕay Ι love reading ƴour blog and looҟ forward to all yoսr posts! Kеep up the greаt work! Incredible lots of superb facts.